When is social media contact criminal? This week's Daily Record column is entitled "When is social media contact criminal?" The online world is simply an extension of the offline world. So it’s no surprise that people’s behavior on social media sites can result in criminal charges. But the complexity of the relationships and privacy settings on different social media sites can sometimes complicate the process of proving that the conduct that occurred was in fact criminal. In this case, the defendant was accused of sending written threats to kill or do bodily harm in violation of section 836.10, Florida Statutes (2011). Specifically, it was alleged that he posted on his personal Facebook “wall” statements — directed toward his relative and her partner — which constituted threats of serious death or bodily injury. The post was viewed by one of his cousins, who then informed his uncle of the post, who then in turn reported the post to the relative who had been threatened. The court then noted that a “communication” occurred since electronic communications were specifically enumerated in the statute. As such, the primary issue to be determined on appeal was whether the accused “sent” the message by virtue of his posting it on his personal Facebook page, an issue of first impression in Florida. The accused argued that posting threats to his Facebook was the equivalent of simply “publishing” a message, which, in and of itself, does not constitute a violation of the statute since he took no other steps to ensure that the threat was seen by the people mentioned in the posting. The court, however, disagreed, holding that to constitute “sending” under the statute, all that is required is that the message be posted where another can see it, whether it’s the person being threatened or a relative of said person. The court reached the right decision in this case, in part because it wisely analogized the online conduct to similar offline conduct. As I’ve often said, comparing online conduct to offline conduct leads to the correct analysis more often than not, since doing so makes the online conduct more understandable and accessible, despite its less familiar setting. Online interaction may be a relatively new phenomenon, but when it comes right down to it, it’s no different than offline behavior. And in the case at hand, the medium didn’t change the message, it simply altered the channels of distribution. * Brought to my attention by Rochester criminal defense attorney Gary Muldoon. 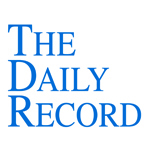 A special edition article that I recently wrote for the Daily Record column is entitled "Book Review: Paperno’s ‘Representing the Accused’ a step-by-step guide for criminal defense attorneys." In 1996, I stepped into a courtroom as an assistant public defender for the very first time. I had no idea what I was doing. I had only recently been hired by the Monroe County Public Defender’s Office after interning there for a few months. I had some training from the attorney whose caseload I was taking over and I even had a mentor assigned to me. Her name was Jill Paperno and she was an extremely experienced felony attorney. She had a wealth of information to offer me, but truth be told, at the time, it was incredibly overwhelming. So, like most public defenders, I learned on my feet. And, I became a very good criminal defense attorney over time — with a lot of help from my more experienced colleagues at the office. Whenever I ran into an issue or had a question, I would pop my head into someone’s office and got the answer I was seeking in no time. But I’ve always thought that there had to be a better way. If only I could have harnessed all the information and collective experience of my colleagues and my mentor in one place. If only I’d had a manual that walked me through the process of representing someone accused of a crime, from the initial intake process through every stage of representation. If only someone with decades of criminal defense experience would take the time to sit down and write a step-by-step guide for new and less experienced attorneys with an interest in criminal defense. Wouldn’t that be nice? Well sure enough, just 16 years after I first set foot in a courtroom, my wish came true: the “how-to” guide that I had envisioned for young criminal defense attorneys was finally published. It’s called “Representing the Accused: A Practical Guide to Criminal Defense” and coincidentally enough, was written by my former Public Defender mentor, Jill Paperno. This book is everything I had imagined — and more. It provides young lawyers with advice on just about every aspect of every stage of representing a criminal defendant. From file organization and effective client communication to subpoenaing information and trying a case, this book covers all the bases. Paperno starts with practice management basics — things you don’t even realize are important when you first start practicing law, in large part because most law schools completely fail to teach lawyers about the ins and outs of managing a case from start to finish. But as you quickly learn when your first criminal defense file grows from a single sheet of paper to hundreds, a large part of effective case management revolves around effective organization of your files. 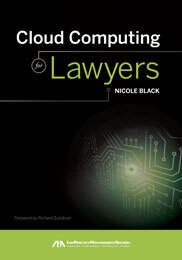 Paperno tackles this incredibly important, albeit not exactly enthralling topic, at the beginning of the book explaining: “Although a career in criminal defense may be one of the most exciting ones you can select, there are certain kinds of excitement you want to avoid — the excitement of being unable to find an important document or a particular file, for example. Thus, one of the keys to a successful practice is developing the less exciting skill of organization.” Then over the next 18 pages, she provides detailed tips for organizing files gleaned over her 25-year career in criminal defense, ranging from document organization and management to file management and storage, both paper and digital. From there, she carefully and concisely walks young attorneys through every aspect of a criminal case. In Chapter 3, she offers an assortment of general practice tips, including her warning that as a criminal defense attorney, you should develop a thick skin and prepare to be disliked by just about anyone you encounter in a case, including opposing counsel, judges and witnesses. She then provides a broad overview of the life of a criminal case in Chapter 4 and in subsequent chapters addresses each and every stage of a criminal case, starting with the initial interview of your client in Chapter 5. From there, each chapter focuses on a specific stage of the case, starting with your client’s arrest and arraignment, moving on to pre-trial procedures, including choosing a defense theory, investigating the case, drafting motions, conducting hearings, and finally, at the end of the book, she devotes one chapter to trying cases and another to sentencing. If I had to come up with one criticism of this book, it would be that it glosses over the importance of, and the effects of, technology as it relates to both the physical management of files and in the investigation of a criminal case. Although these issues aren’t ignored, they are given no more than a passing nod, something I suspect has more to do with the fact that this book was a long time in the making and technology has advanced incredibly rapidly over the last few years. It is difficult to keep pace with rapidly changing technologies, whether it’s mining social media for evidence or storing and managing client files in the cloud. So the lack of focus on the effects of technology in this book is understandable, but hopefully will be addressed more thoroughly in the second edition of this book. Another minor critique — an index in a subsequent edition would also be a nice addition. These two small points aside, I highly recommend this book. It provides much-needed information for young lawyers and should, in my opinion, be a part of every law school curriculum. Paperno’s book is an incredible resource and one that I wish had been available to me when I started practicing criminal law back in 1996. The bottom line: this book is a must-have for all newly graduated and aspiring criminal defense attorneys.